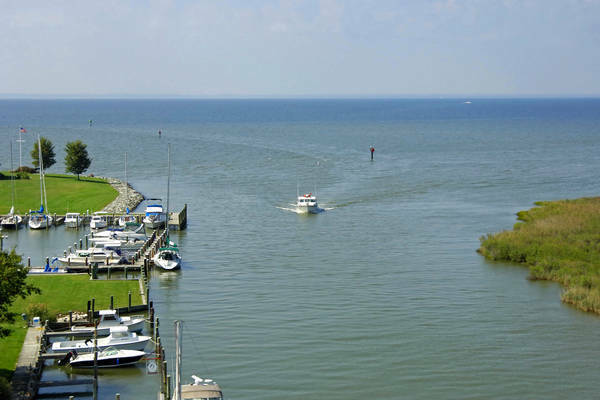 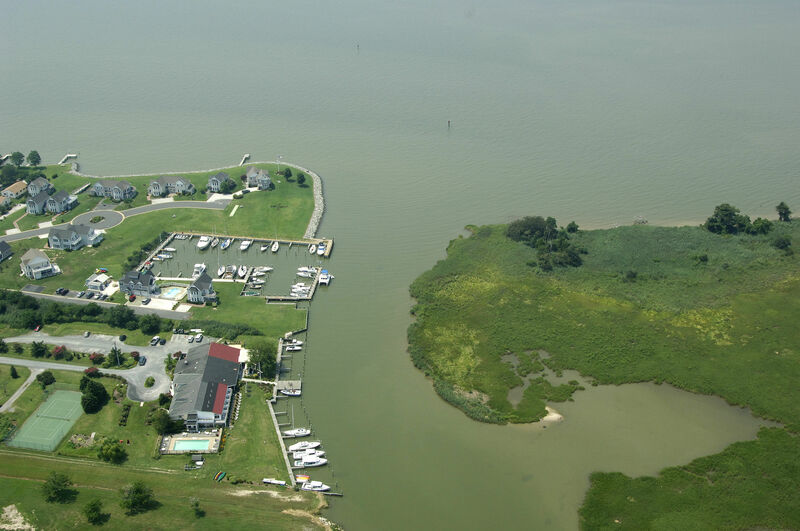 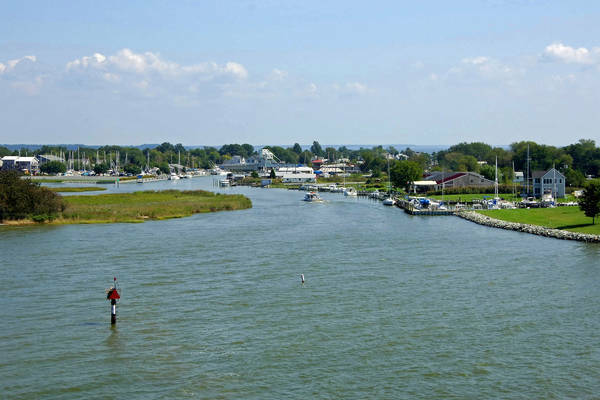 Knapps Narrows is a water break in the Tilghman Island Peninsula that not only allows access to the Choptank River from the Chesapeake Bay without rounding Blackwalnut Point, but also serves as home to some of the last remaining fishing vessel that sail - the Chesapeake Bay Skipjack. 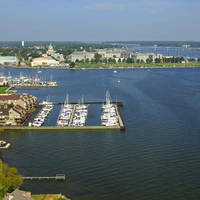 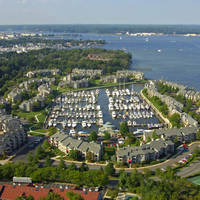 Knapps Narrows is 18 miles from Annapolis. 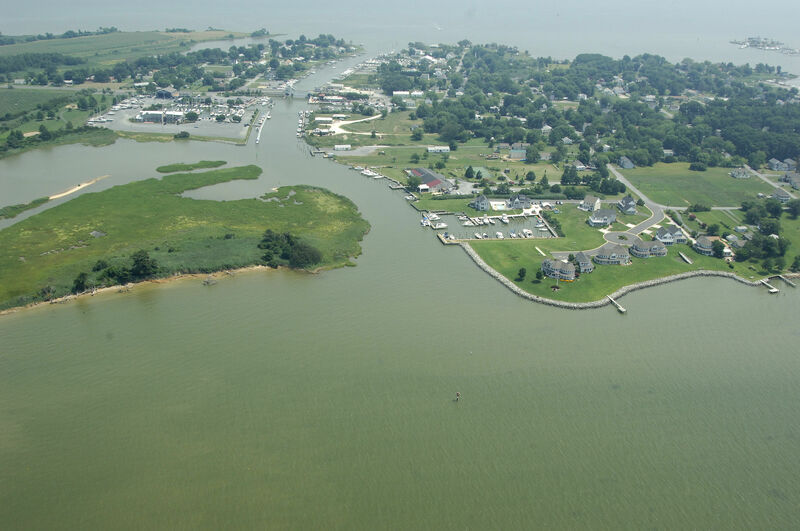 Although the rehabilitation of Poplar Island to the west has had a significant beneficial effect on the shoaling problem at Knapps Narrows, shoaling does still exist, and boats with drafts over 6.5 feet should not attempt the passage at any tide. 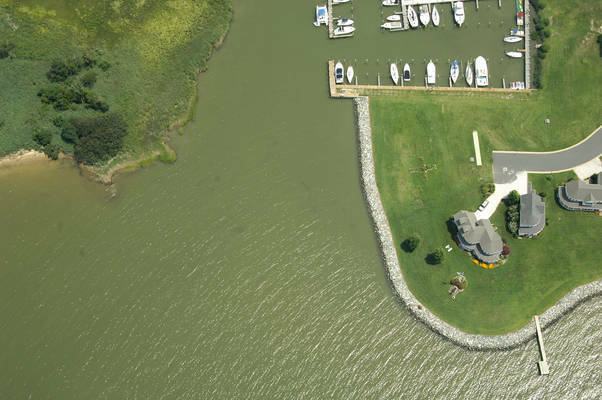 From the east, flashing green 1 marks the entrance approach to Knapps Narrows, followed by flashing red daybeacon "2" (visible above), flashing red 4, and then green daybeacon 5. From here, you must pass through the Knapps Narrows Bascule Bridge (12-foot closed vertical clearance with 42 feet of horizontal clearance in the center span). The bridge opens on demand 24 hours a day. 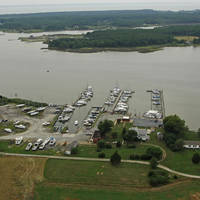 There is a small but well equipped marina just to the east of the bridge where transient dockage or repairs can be arranged. No reviews yet! Be the first to write a review of Knapps Narrows Inlet West.